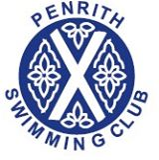 THE trophy winners from Penrith Swimming Club took a bow on Friday night at the annual presentation evening. Those being honoured had all won trophies at the club’s two gala events which were staged in November. Members compete from the age of seven up to senior level in the various stroke categories. Trophy winners: Eamont Trophy, girls, aged seven — Laura Huggon. Brougham Trophy, boys — James Halliwell and Martin Heath. Beacon Trophy, girls, eight years — Niamh Taylor. Lowther Trophy, boys — Alex Maclaclan. Hewer Trophy, girls, nine years — Rebecca Halliwell. Kevin Howe Memorial Trophy, boys — Michael Ellery. NatWest Trophy, girls, 10 years — Jodie Gray. Frank Shepherd Trophy, boys — Stewart Marshall. TSB Cup, 11-13 girls — Diane Frith. TSB Cup, boys — Gary Wilberforce. British Legion Cup, 14-16 girls — Emma Shaw. Jerry Bamber Cup, boys — David Williams. Birtles Cup, ladies open — Emma Shaw. Cumberland and Westmorland Cup, men’s open — Ian Silburn. Ted Davis Cup, girls 10 years front crawl — Jodie Gray. Frenchfield Cup, boys — Stewart Marshall. Ian Powley Cup, men’s open crawl — Jon Fletcher. Frenchfield Shield, ladies — Emma Shaw. Jean Shield, girls 50m crawl — Emma Shaw. Leech Cup, boys — David Williams. Hubert Chapelhow Cup, ladies 200m crawl — Emma Shaw. Lonsdale Cup, men’s 400m crawl — Jon Fletcher. Ron Jennings Memorial, girls 11-13 events — Diane Frith. Ann Simpson Cup, boys — Gary Wilberforce. John Wynne Naylor Memorial, girls 14-16 events — Karen Key. Eamont River Cup, boys — David Williams. Chris Fletcher Cup, men’s open 50m — David Williams. Chris Fletcher Cup, ladies open — Emma Shaw. School shield — Queen Elizabeth Grammar School A. Marsh Cup — Ullswater Community College. Bulldog Shield, most points in age group — Ryan Davis. Most improved swimmer for 1998 — Rebecca Schultz.